It’s all official! 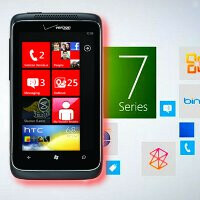 Verizon Wireless will finally take the plunge with Windows Phone 7 starting on May 26th when the long awaited HTC Trophy is set to become ready for sale with the carrier – thus finally completing the platform’s proliferation in the US market. Being the last of the big four to finally offer a Windows Phone 7 device, the HTC Trophy will indeed be arriving at a time when it’ll be competing with some other new handsets – like the Sony Ericsson Xperia PLAY and Motorola DROID X2. For those customers who want to experience a totally new platform, just be aware that you’ll need to shell out a reasonable $149.99 with your signature on a 2-year agreement to pick up the HTC Trophy. Still, you’re getting one top notch handset since it features things like a 3.8” WVGA touchscreen, 1GHz Snapdragon processor, 5-megapixel auto-focus camera with LED flash, 720p video recording, and 16GB of internal storage. Furthermore, the “NoDo” Windows Phone 7 update will be on board from the get-go – thus giving the most up-to-date WP7 experience. Finally, there’s an incentive to purchase the handset seeing that customers who purchase it before July 15th will be eligible to receive a free XBOX 360 game – you can’t beat freebies! it's about time this phone came out! will try to check it out in stores when it releases! 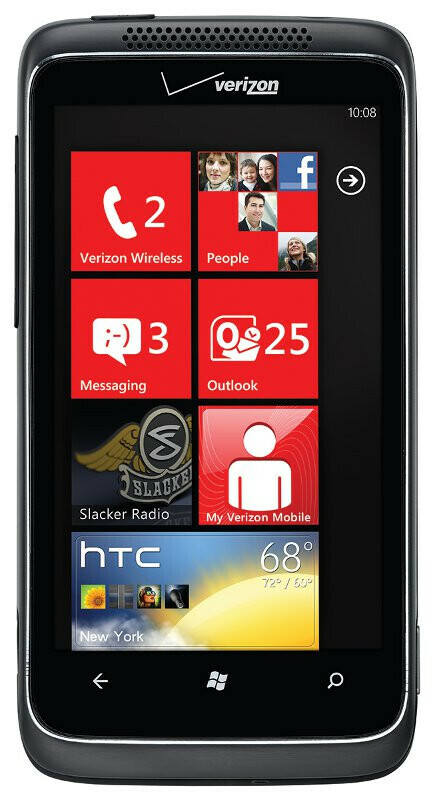 i've been dying for a windows phone on verizon! Yeah... every person on the face of Earth wants a droid- right? W7 is a good OS. Verizon customers who are interested will be very pleased with this device. I've been impatiently waiting for VzW to release a WP7 device, and my wait is almost over. But now if I go right out and get this and Big Red does a hurry-up to release a Nokia WP7 phone, or if Mango comes out mid-summer with Skype and front-facing cameras... I'm gonna just SCREAM! But what are the chances Verizon will roll out another WindowsPhone anytime soon? I guess I'm safe. You might be the only one! I feel soory for WP7... its a great product that I just don't think will find any traction. Glad Verizon is picking up a WP7. Although in its infant stage, I think it has great potential to be a big competitor in the mobile industry. Its finally here. :) Im going to buy this phone.